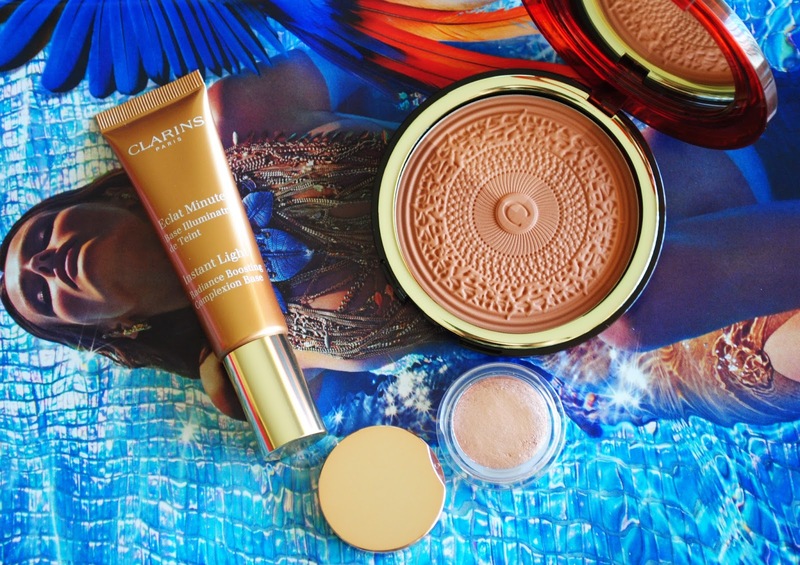 When it comes to Summer Collections, I always have a look at Clarins,they always have a beautiful collection and this year was no exception. If you read my blog you will remember last year´s collection. This collection is called Aquatic Treasures, it´s very pretty but I have to say I´m disappointed that it didn't include a palette ( I know like I need another palette!! Not!) I wanted to see this year offering, but instead they have 3 shimmery cream eyeshadows, I bought mine in 01 Aquatic Rose, I think this is the most popular I had to go to so many stores to be able to find it! It reminds me of Mac All that glitters but in cream form, so you if you like that shade this one is for you. Next I bought the Instant Radiant Boosting Complexion Base in 05 Golden Bronze, I thought I could use this as a liquid bronzer or to warm up lighter foundations, it does come up quite orangey but once you blend it in it fades to a beautiful hint of warmth, so if you are quite fair be careful. And finally, Ooops I did it Again! I bought the bronzer, I have now 3! Someone stop me! Next year I cannot buy the bronzer! But it looked so pretty I just couldn't help myself! Did you buy anything from the collection? Do you love Summer Collections as much as I do ?